Aurora Izquierdo was one of the first women of her generation to leave the indigenous Arhuaco community of Santa Marta in pursuit of a higher education. 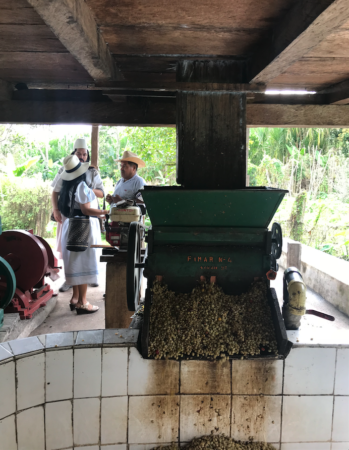 While studying agricultural engineering at Universidad Nacional de Colombia, Aurora considered how to turn coffee into a source of value for the indigenous farming communities of La Sierra Nevada de Santa Marta and Serranía del Perijá. Her goals were to address cultural recognition, food scarcity, a poor education system and indigenous and rural economic crises—while also considering the preservation of forests, rivers and fauna. 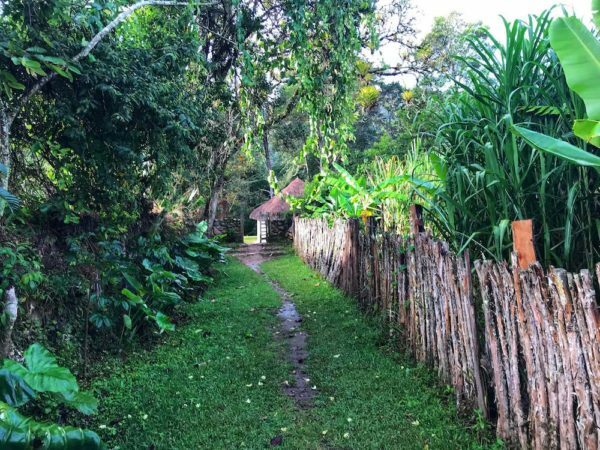 After graduating, she returned to her community and created a sustainable agriculture program that has since dramatically improved the quality of life in the area. Today, as director of the Association of Indigenous Agroecology Producers (ANEI), she has earned an award from the governor of the department of Cesar for leadership, service, management and commitment to the most vulnerable communities, and she has been recognized by the United Nations World Food Programme for empowering women in indigenous communities. The Arhuaco community of Sierra Nevada de Santa Marta is one of four descendants (along with the Koguis, Kankuamos and Wiwas) of the Tayrona people. All four groups share a belief system that focuses on protecting the earth — which is central to sustaining all life — and maintaining a harmony between humans and nature. 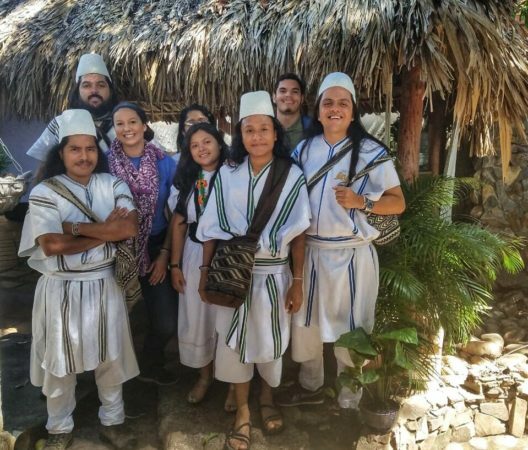 Their white hats symbolize the snowy mountain peaks they protect, and their tunics, bags and coca leaf traditions are part of their spiritual practice, finding a balance with nature. 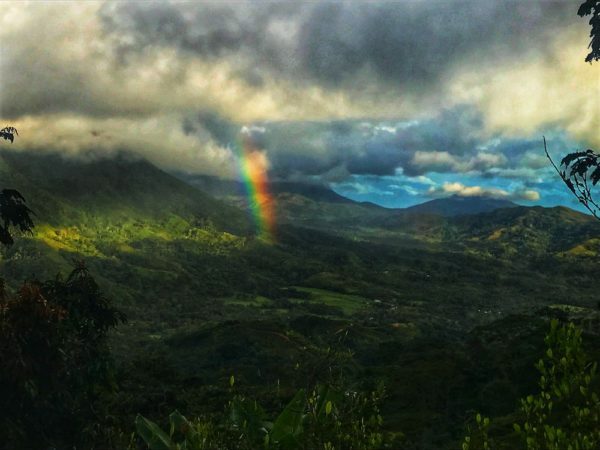 The area in which ANEI operates is made up of approximately 30,000 Arhuacos located between the departments of Cesar and Magdalena, and the association includes 700-plus coffee-producing families and a large team of people committed to the same mission. 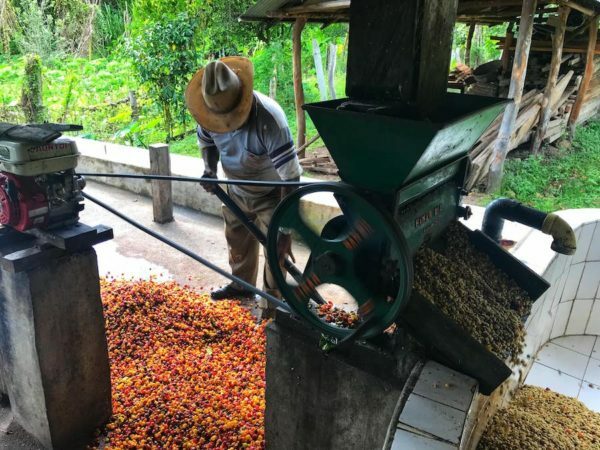 Headed by agricultural engineers Paulo Lemus and Alecy Andrade, ANEI focuses on increasing productivity and improving procedures, to achieve the highest-quality coffee from each variety of coffee tree. 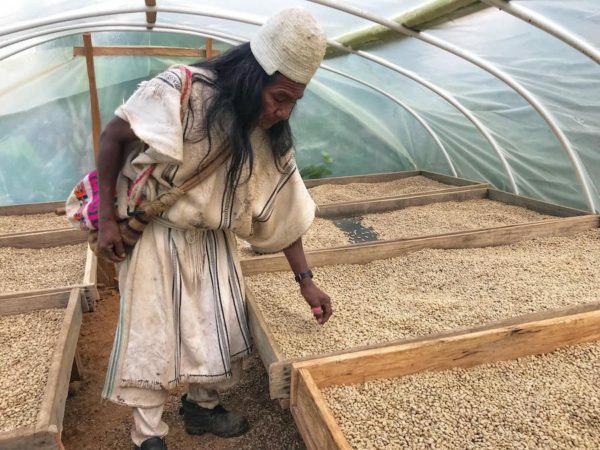 It also has a quality-management program covering processes for each of the producers and a logistics system to classify the diverse qualities of the coffee bought by ANEI's laboratories, using a tasting procedure. 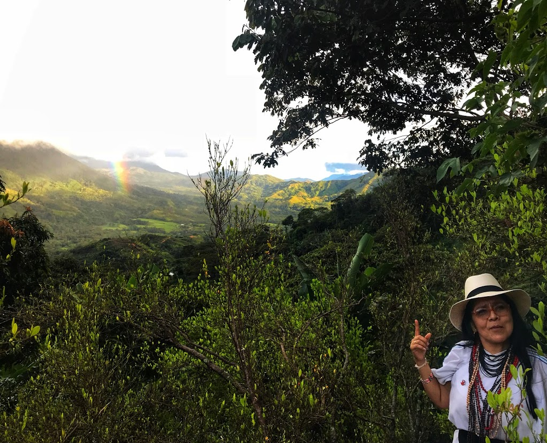 Along with the Colombian Department of Social Prosperity and Municipal Mayors, ANEI has set the goal of making a change toward ecological agriculture in all the municipalities of Cesar, Guajira and Magdalena departments, especially focusing on the coffee-growing field. As of 2016, ANEI had 112 women coffee-growing members, supported 33 students with educational grants, had a comprehensive range of certified Fairtrade Organic coffees in northern Colombia, and had created simplified and transparent organizational and commercial models between customers and producers. This coffee is the work of approximately 700 producers in northern Colombia, and it’s certified Fairtrade and Organic. Cherry was pulped in hand-cranked machines and beans were washed, fermented for approximately 18 hours and then dried on raised beds, in the sun and in small solar greenhouses.